Versace gave patrons a fashion show that they will remember for many years to come. The glamorous affair saw Donatella Versace pay homage to her late brother, Gianni Versace. In addition to recreating classics from the brand’s archives, Versace brought back Carla Bruni, Claudia Schiffer, Naomi Campbell, Cindy Crawford and Helena Christensen together on the runway, all clad in shimmering gold gowns. Azzedine Alaia, the couturier who made body-con dresses iconic, died at the age of 77 from a heart attack. The celebrities this legend dressed included Michelle Obama, Victoria Beckham, Lady Gaga and Nicole Kidman among others. Yves Saint Laurent lost its co-founder Pierre Bergé, and the former president of Italian fashion powerhouse Fendi, Carla Fendi passed away earlier this year following a long illness. While Emma Watson lit up the big screen with her stellar performance in Beauty And The Beast, it was the hand-crafted bodice Watson wore in one of the scenes that took over our Insta feeds. The assistant costume designer of the movie shared a photograph on Instagram, which showed the story behind the garment. The dress, made by two artisan brothers, Kasam and Juma, based in Kutch, with aari embroidery, put Indian crafts right up there on the global map. What happens when the world’s most influential fashionista wears the country’s most sought-after designer? The garment becomes an overnight success! On her visit to India, the Duchess of Cambridge wore an Anita Dongre dress much to the amusement of fans, both Indian and international, following which, the dress quickly sold out on the designer’s website. And recently, with her debut store in the Big Apple, the designer is geared to cement her brand’s presence on the global fashion map. 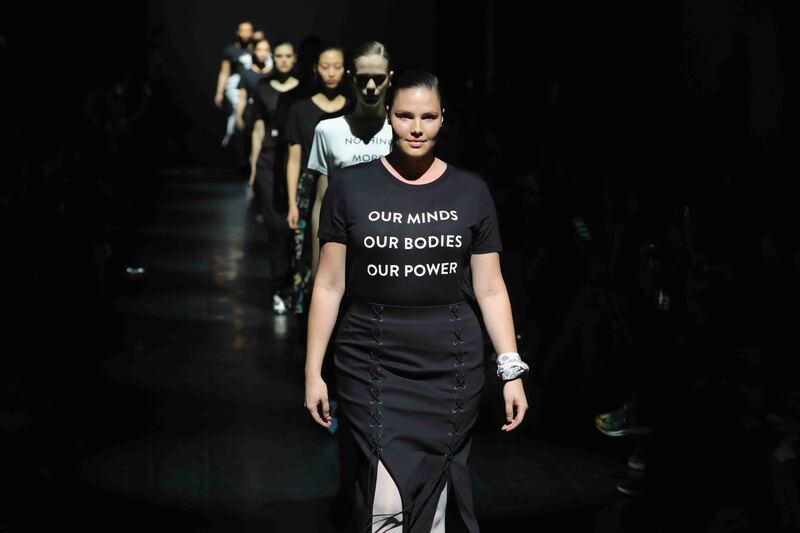 This isn’t the first time the fashion industry joined the ongoing dialogue on feminism. This year, the designer who waved the feminist flag was Prabal Gurung who sent his models down the runway in T-shirts with slogans such as ‘Revolution has no borders,’ ‘I am an immigrant,’ ‘Nevertheless, she persisted,’ and lastly, ‘This is what a feminist looks like,’ worn by the designer himself. Needless to say, it certainly sent ripples down the ramp. You can count on Arora to always put forth a spectacular show. And with his ‘Cosmic Love’ Paris line showcased at Lakmé Fashion Week Winter/Festive 2017, he once again cemented his position as the King of Pop in the fashion world. 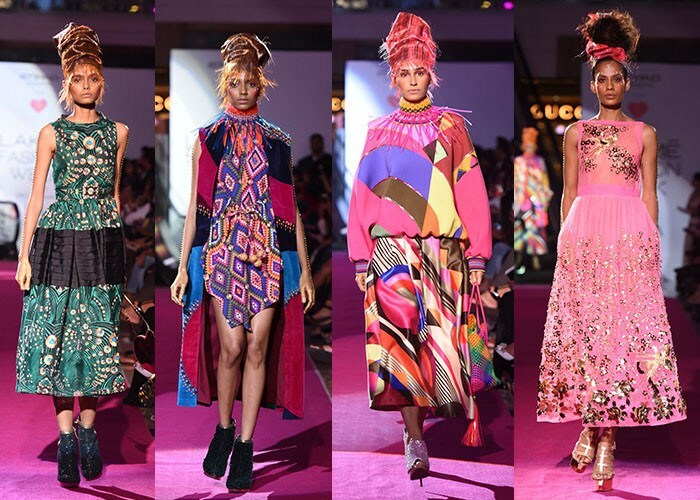 The collection was a mesmerising play of colours and silhouettes, from tribal and aztec prints to geometric patterns with patchwork and embroidery and a hint of art deco. Mesmerising. 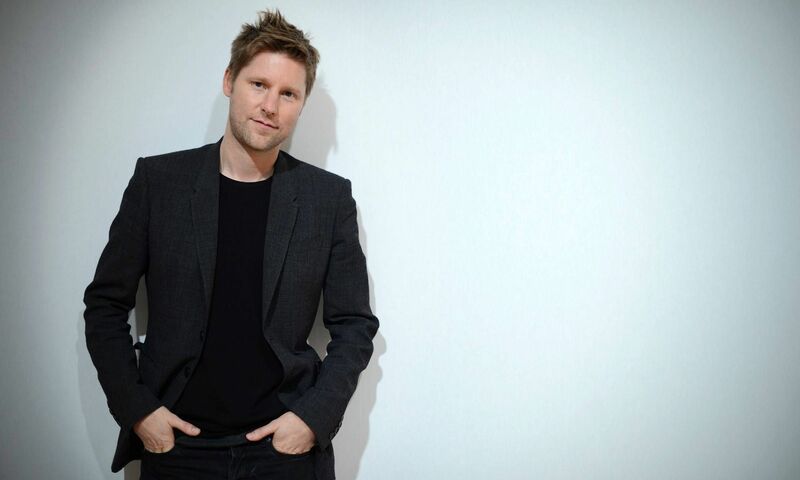 The British brand announced that after 17 years, president and chief creative officer Christopher Bailey was exiting the company. The label’s Spring/Summer 2018 show, to be presented in February, will be his last. He has spearheaded Burberry’s revolutionary ‘see now, buy now’ process and we cannot wait to see what he does next. With fashion turning responsible, now more than ever, sustainability and ethical practices are slowly becoming the diktat. 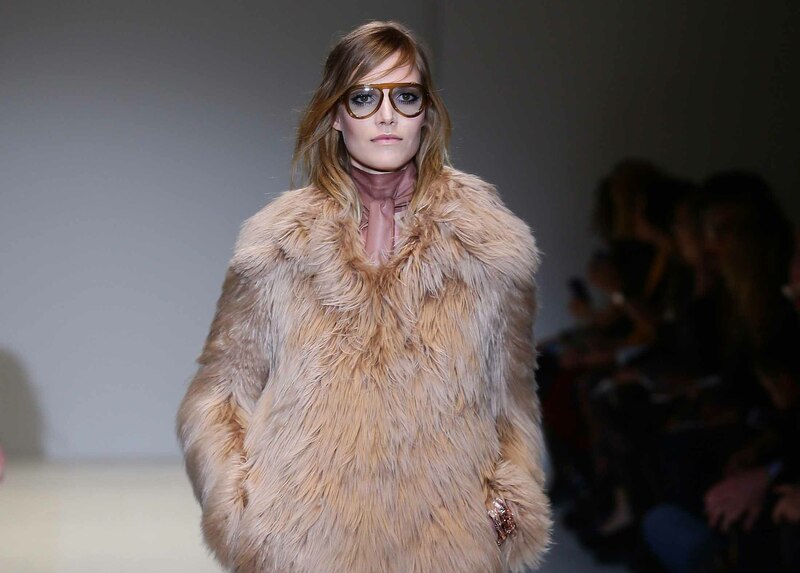 In line with this initiative, some of the biggest fashion houses decided to go fur-free. This list includes Gucci, Michael Kors and Jimmy Choo, who will all make the change from the next season onwards. Here’s hoping that more luxury brands will join the movement to undo the ecological imbalance that the industry has contributed to. Move aside Gigi Hadid and Kendall Jenner, there’s a new kid on the block. 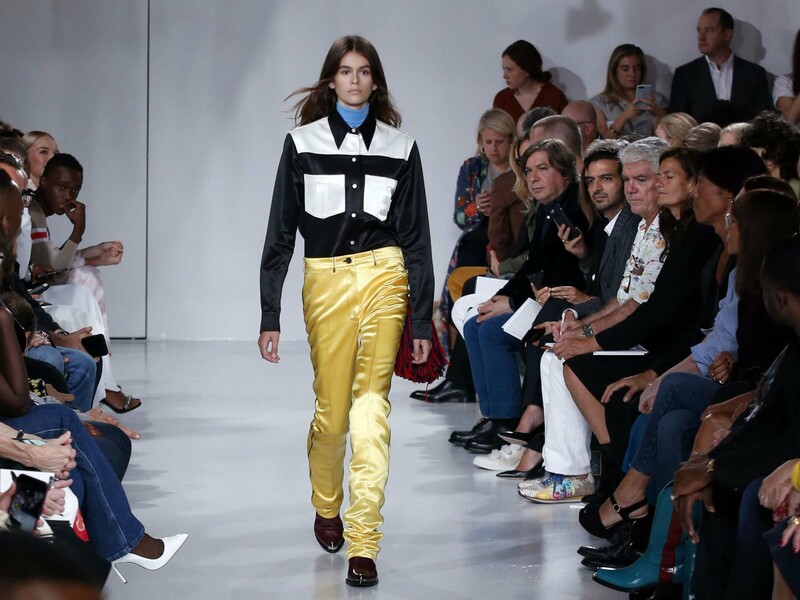 Kaia Gerber, daughter of legendary model Cindy Crawford, made her runway debut this year in Raf Simons’ sophomore Calvin Klein 205W39NYC collection. We can’t wait to see the young diva walk for a slew of luxury fashion houses in the seasons ahead. Following the acquisition of two new companies – Stuart Weitzman in 2015, and more recently, Kate Spade & Company, Coach’s name did not fit the bill anymore. The luxury brand conglomerate acquired a new name, which also suggests that a greater revamp is in order. We will just wait-and-watch.